This summer has been crazy busy at our house. With VBS, youth camp, soccer camps, family camp, company, vacations, and everything else we have going on it can be hard to find time in my day to read anything except my Bible and the newspaper. But I have made time to read The Conversation from Classical Conversations. 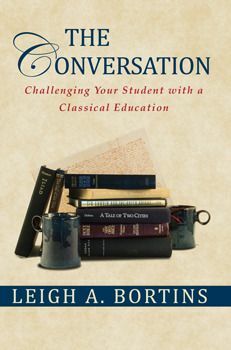 The Conversation: Challenging Your Student with a Classical Education is a 267 page softcover book written by Leigh A. Bortins. In this book Leigh takes a look at her 30 years of homeschooling and encourages parents to stay on the course through high school. She wants families to experience rich conversations as their students become rhetorical learners. Part One: High School at Home~ This section contains two chapters, Confident Parents, and Rhetoric Defined. Part Two: The Rhetorical Arts ~ There are 10 chapters here that cover high school subjects including Speech & Debate, Writing, Science, Government, Foreign Language, Fine Arts and more. A Graduation Conversation chapter is also included. Part Three: Appendices ~ Rhetorical games & devices, resources, and parental responses on homeschooling high school. 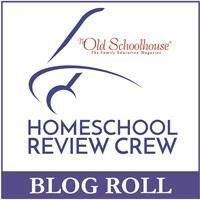 If you have been homeschooling for awhile or if you have been researching it you have probably ran across Classical Conversations. Classical Conversations believe parents are the best teachers for their unique children and a great education includes Classical Education, Christian Education, and Community. 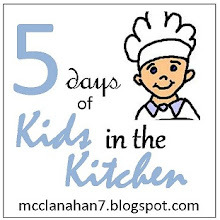 They support parents and students with different programs while they homeschool, and they offer many training aids including a three day parent training. Leigh A. Bortins is the founder of Classical Conversations, Inc. and she has written 3 books on classical, home-centered education that include The Core: Teaching Your Child the Foundations of Classical Education, The Question: Teaching Your Child the Essentials of Classical Education, and now The Conversation. In The Conversation Leigh defines the Rhetoric stage and encourages parents to continue homeschooling through high school. Not having a classical education myself I've often wondered what it should look like on a daily basis. Well now I know, in the second part of the book Leigh shows us what it should look like for every subject including dialog between herself and the students. I'm sure you have heard people ask why certain subject need to be taught to our children. Leigh explains to us the importance of the subjects. She shows us exactly what they should look like with our children & makes everything seem so simple including our materials. She says all you really need for a classical education is pencil, paper, good books, and time for great conversations. There is also a chart for each subject that contains the five canons of rhetoric for that subject. If you are unfamiliar with these they are Invention, Arrangement, Elocution, Memory, and Delivery. How to incorporate these in your child's education is included in this book. 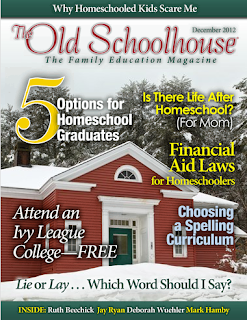 Leigh says she likes homeschooling because it educates two generations at once. I agree with her 100%. I did not do well in the public school setting and I have learned so much from educating my kids at home. I even look at my own kids and I know beyond a shadow of a doubt which ones would not have been successful in the classroom setting. This book will be one that will be a great reference for years to come. I will want to reread the sections for each subject again and I'm sure I'll use it to reference later too.